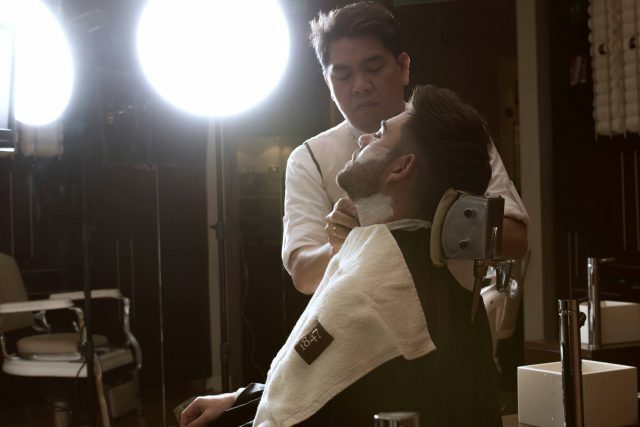 Looking for the best men’s grooming salons in Dubai? From nail care and facials to beard upkeep and haircuts, check out these top-rated men’s salon in Dubai. Introducing the concept of musical themed spas, the Jazz Lounge Spa provides professional grooming and pampering services for men. Located in a snazzy, two-storey villa, the quirky décor features guitars, drum sets and other Jazz memorabilia. 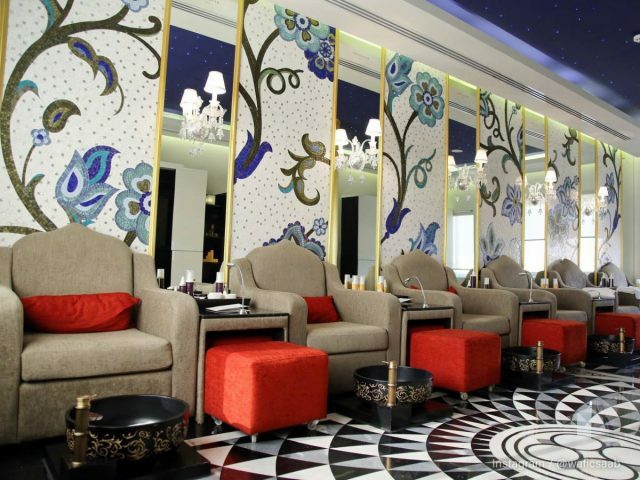 From haircuts and nail care to massages and Hammam treatments, one visit will have you jazzed up in no time. insydo tip: The spa also offers home services by male technicians at an extra cost. 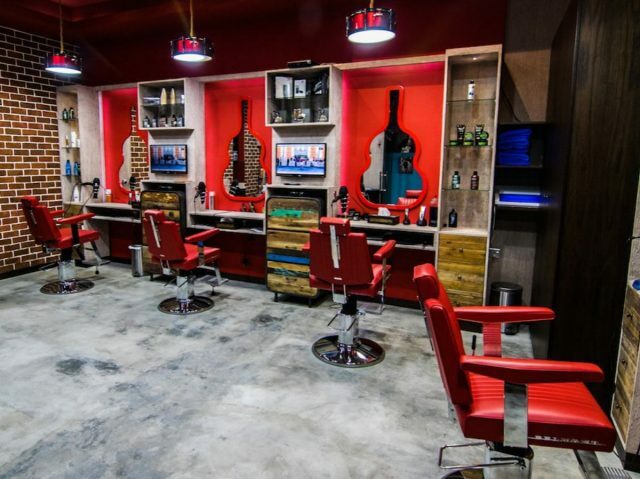 An elegant men’s salon in Dubai, House of Handsome is the ultimate man cave where gents can chill and get groomed in luxury. Offering a range of unique packages from The Classic to The Sophisticate, enjoy vintage hair and traditional beard services conveniently rolled into one. insydo tip: Check out their membership packages for unlimited yearly services. 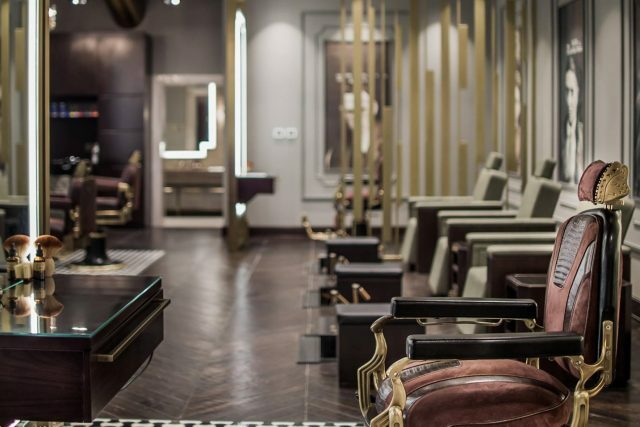 Wafic Saab is a gents-only salon especially designed for Dubai’s modern man. Offering everything from nail care and facials to waxing and haircuts, get ready to sink into the salon’s plush armchairs with a massive plasma TV in front of you, while getting primed and ready in the most luxurious setting. insydo tip: You’re going to need a few extra notes in your wallet for this one; the services at Wafic Saab Dubai aren’t cheap. 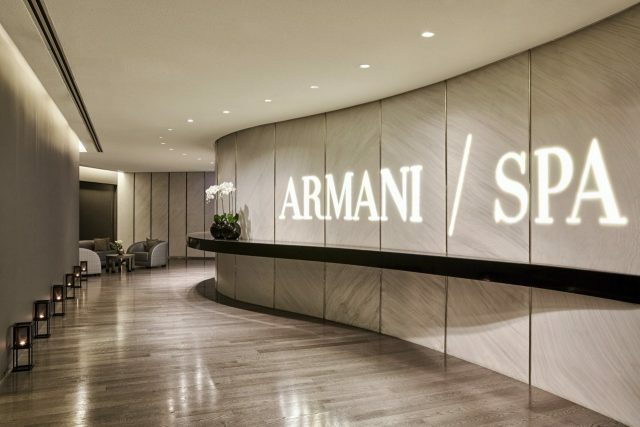 The popular Armani Spa boasts a number of grooming services for men, ranging from nail care to massage treatments. Enjoy fantastic views of the Dubai skyline while making the most of the spa’s top-quality facilities (yes, you get access to all of them!). We’re talking five-star sauna, steam room, gym, pool access and more! insydo tip: Opt for a mani-pedi and you’ll get to walk away with a small package of beauty tools in a neat Armani bag. Mandara Spa is all about professional treatments and therapies to improve well-being. 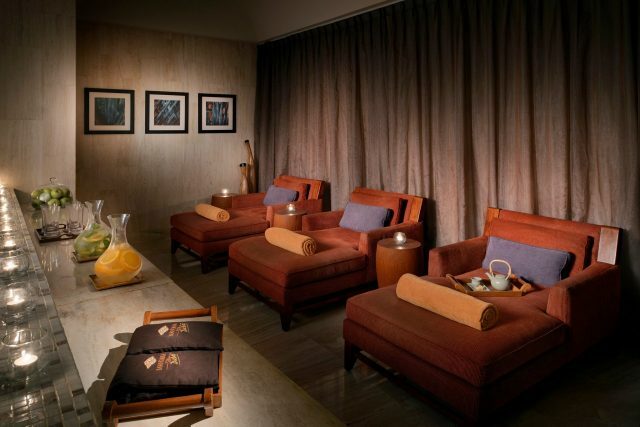 Whether you’re in need of a facial or a relaxing massage, this top spa in Dubai brings five-star treatment to guests in need of serious de-stressing. After your treatment, you’ll get full access to the steam room, sauna and Jacuzzi – the perfect way to end an enjoyable wellness experience. insydo tip: They recommend you make use of the sauna and steam room prior to the treatment as it’s beneficial for the skin. Renowned as one of the manliest grooming lounges in the city, 1847 Dubai offers “executive grooming” in a classic barbershop setting, with more than a twist of luxury. For the distinguished gentleman, a 35-minute ‘1847’ shave will tame your face fuzz, while those seeking relaxation can opt for a stress-relieving massage. With a full range of services on offer, including hair cuts and bespoke mani-pedis, this chic grooming lounge is a winner with the modern gentlemen. insydo tip: As one of the city’s more popular salons, 1847 Dubai can be very busy on a weekend so be sure to book ahead. Whether you’re looking to freshen up with a facial or show your cuticles some love, you can expect the royal treatment at Razors. Offering manly-pedis and waxing, alongside traditional barber shop treatments like haircuts and shaves, you’ll find quirky décor and a masculine environment that translates nicely into a laid-back grooming session. insydo tip: Unless you live in the area, you’re probably not going to go out of your way to visit. As good as its barber shop services are, the traffic in the area is famously hellish. In search of a permanent solution for shaping up your beard? Check out our article on the top laser hair removal clinics for men.